The apartment was very spacious and the air conditioning worked well. The bed was comfortable. Very friendly and helpful staff. Good place to stay with pets. Clean, well outfitted with chairs and a good table, couch and armchair and the air conditioning was excellent! Staff were very helpful when I did interact with them. The bed was comfortable and the cupboard space was good. The bathroom was clean. The location was nice and quiet. Nice and fresh morning view of Todd River Reserve from the balcony. We loved alice on todd. Very clean, comfy bed, fantastic amenities and the grassy area was so nice! We will be back. Hugely accommodating for pets and large, well appointed room. 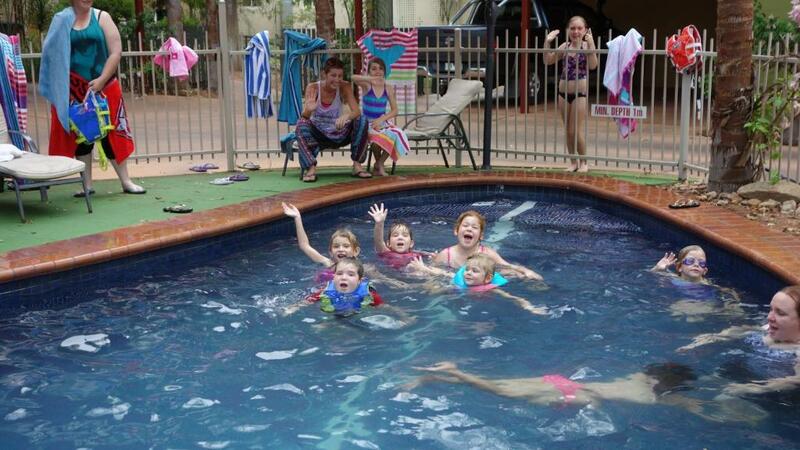 Lock in a great price for Alice On Todd Apartments – rated 8.5 by recent guests! 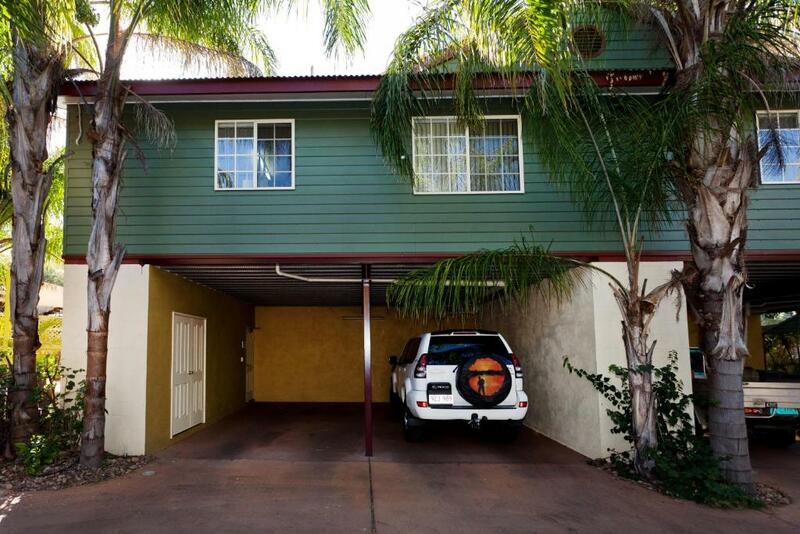 Alice On Todd Apartments This rating is a reflection of how the property compares to the industry standard when it comes to price, facilities and services available. It's based on a self-evaluation by the property. Use this rating to help choose your stay! 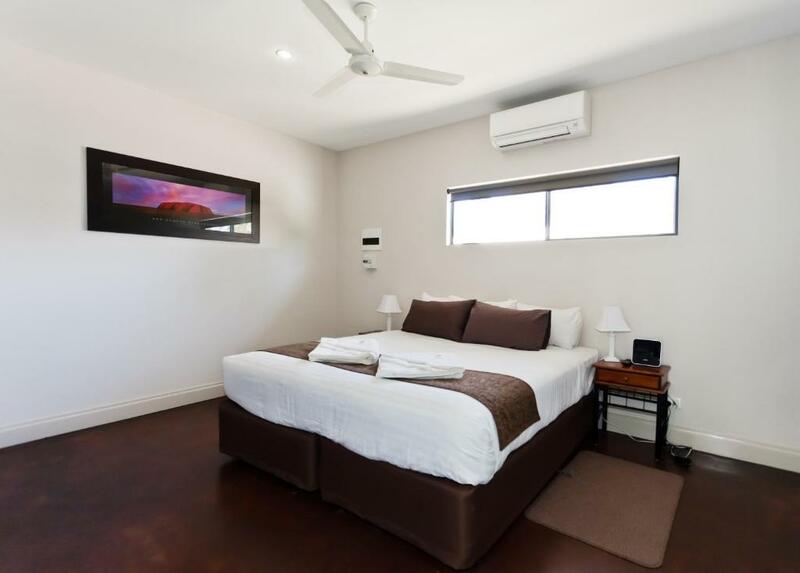 Just 5 minutes’ drive from central Alice Springs, Alice on Todd Apartments offer self-catering accommodations with flat-screen TVs and free Wi-Fi internet. Guests have access to the outdoor swimming pool. Alice on Todd Apartments are located just 1 minute’s walk from the Todd River. Alice Springs Golf Course and Todd Mall are each a 5-minute drive away. The air-conditioned rooms come with a well-equipped kitchenette or kitchen and laundry facilities. 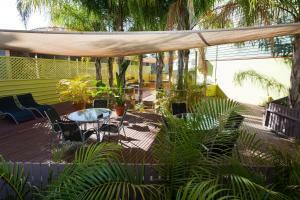 All rooms have a balcony or patio where guests can relax. The Alice on Todd barbecue area is the perfect place for a get-together with friends. There is a games room and a children’s playground on site. 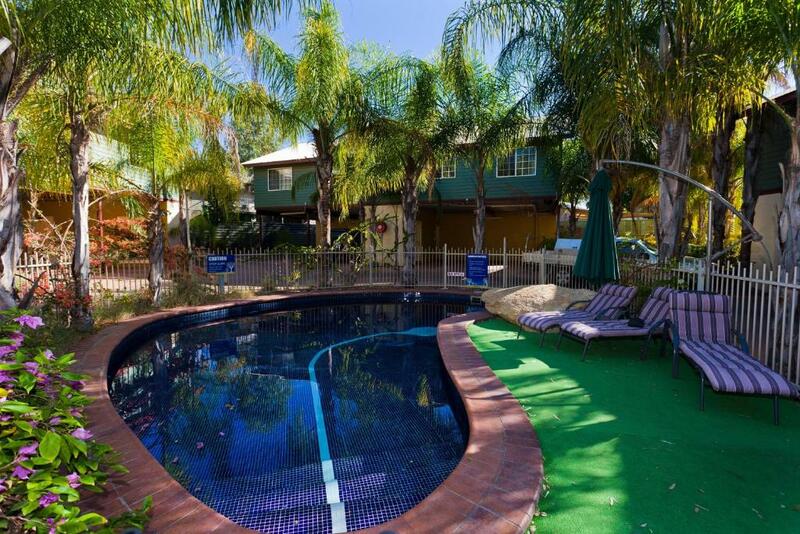 When would you like to stay at Alice On Todd Apartments? Please note that this apartment is not pet friendly. This large 2-bedroom apartment includes a television, split-system air-conditioning in the living room, fully equipped kitchen, two lounges in the living room, a four piece dining setting and an outdoor area located on a private balcony. The apartment has laundry facilities including an iron and ironing board. Please note that this apartment is not pet friendly. This large one bedroom apartment features an private bathroom, television, split-system air-conditioning in the living area, fully equipped kitchen, sofa lounge and sofa bed in the living room (for the 3rd and 4th guest), a four piece dining setting and an outdoor area located on a private balcony. The apartment has a full laundry facilities including an iron and ironing board. Several of these apartments are pet friendly, on application only, charges apply. 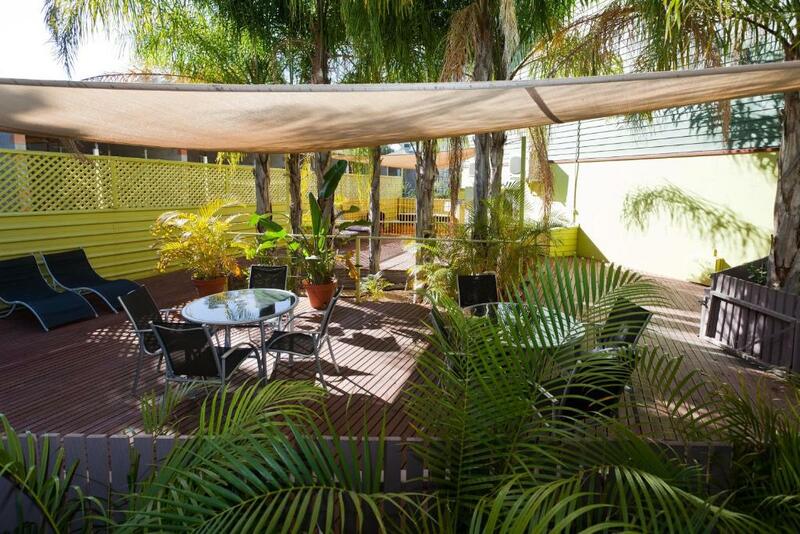 These motel-style Studio Apartments offers a TV, split system air-conditioning, kitchenette, lounge, dining setting and private outdoor area. The kitchenette has a microwave, double cook top, bar fridge, toaster, cooking utensils and crockery. The apartment has full laundry facilities including an iron and ironing board. Please note that no additional beds available for this room type. Please note these apartments are not pet friendly. This large 2-bedroom apartment includes a TV, split-system air-conditioning in the bedrooms and living area, fully equipped kitchen, sofa lounge and sofa bed in the living room, a 6 piece dining setting and an outdoor area located on a private balcony. The apartment has full laundry facilities including an iron and ironing board. Several of these apartments are pet friendly, on application only, charges apply. This large 1-bedroom deluxe apartment contains an private bathroom, 2 plasma TVs, split-system air-conditioning in the bedroom and living area, fully equipped kitchen, sofa lounge in the living room (for the 3rd and 4th guest), a 4 piece dining setting and an outdoor area located on a private balcony. 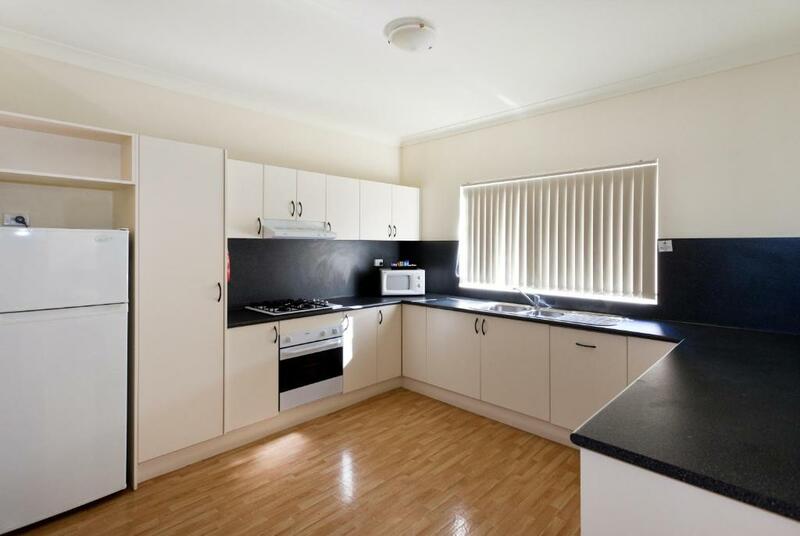 The apartments have full laundry facilities including an iron and ironing board. 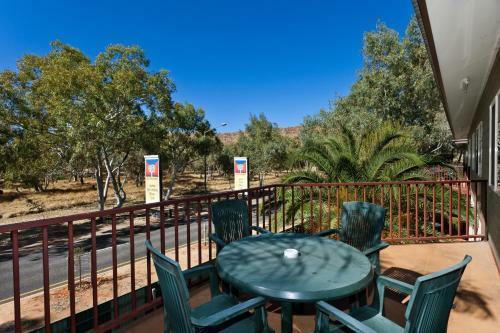 Situated overlooking the banks of the Todd River, Alice on Todd Apartments provides a 'home away from home' for visitors, tourists and corporates alike. 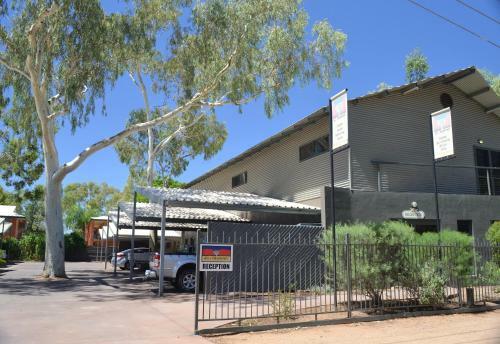 Alice on Todd is just across the river from Crowne Plaza Casino (previously Lasseters Casino) We have a 10pin bowling ally with lovely a Indian Restaurant on site 200 metres towards town. We also have a Petrol Station (approx. 400mtrs), a Supermarket called Pigglys (approx. 500mtrs) and also the Gap View Hotel is approx. 1 km away. House Rules Alice On Todd Apartments takes special requests – add in the next step! Free! All children from 0 to 3 year stay free of charge when using existing beds. All children under 2 years are charged AUD 10 per person per night in a crib. Alice On Todd Apartments accepts these cards and reserves the right to temporarily hold an amount prior to arrival. Please inform Alice On Todd Apartments of your expected arrival time in advance. You can use the Special Requests box when booking, or contact the property directly using the contact details in your confirmation. The comfy bed, I was in heaven. I was in a downstairs apartment and for a couple of nights I had people in the apartment above mine. I’m not sure if they were especially noisy, but I could hear their footsteps really clearly. Also whenever either of the upstairs apartments flushed their toilet it was very noisy in my bedroom. The apartments are about a 25 minute walk from the centre of town which is fine, but when I had to carry shopping I got a taxi back. The kitchen was large, but a little sparse on cooking utensils and cookware. Couch had holes in it. Overall, the apartment met our needs and would likely stay there again. Truly dog friendly. We had a lovely comfortable sleep and were super refreshed to continue our journey. The accommodation had everything we needed. Stairs to upstairs is a bit tight. Tvs mounted to keep out of reach of younger children. The only one air condition is not enough at all for the whole apartment in sumer. We have to sleep in the lounge.